Recently we’ve seen the release of a triptych of films – Brooklyn, Kill Your Friends and Scout’s Guide To The Zombie Apocalypse, all of which star some of the most promising acting talent under the age of thirty working today. Looking back at this year it has been astonishing to see some of the work done by actors and actresses within this age bracket, from Alicia Vikander in Ex Machina to Asa Butterfield in X+Y, and many more in between. To celebrate this brilliant period, and to spoil you, my readers, I have opted to provide two Top 5s this Friday, one of the best 5 actresses under the age of thirty and one for the actors. Given that these ten individuals have many years of acting ahead of them, and that this list was so hard to compose that the likes of Nicholas Hoult and Jennifer Lawrence sit amongst the ‘notable absentees’ this is a very exciting time to be a lover of cinema. The actress on this list who is possibly the one who has yet to make her real mark on audiences in the way further entries have been able to. For the most part she has found herself cast in quite amusing supporting roles in comedy films (21 Jump Street, Don Jon) or as perfunctory love interest in utterly meaningless film (The Gambler). That said, from what I am hearing coming from the festival circuit, her performance in Lenny Abrahamson’s new film, Room could be quite the star making turn. Until then, aside from her excellent work as Amy Schumer’s more grounded sister in the surprisingly mature comedy/drama Trainwreck I should point your attention to the barely seen in the UK teen drama The Spectacular Now (which will appear again in this list) and the truly special indie drama Short Term 12, breaking and capturing hearts throughout as the devoted foster facility worker doing her very best to make a difference for her charges. A stunning early role that promises so much. A young actress of bizarrely ethereal presence who can provide both delicate performances and performances of strength and resilience almost at the drop of a hat. Having first come to the wider public attention with a scene stealing performance in Joe Wright’s Atonement she has somewhat quietly put together an outstanding body of work almost without anybody really noticing. Having worked with such directors as Neil Jordan, Peter Weir and Wes Anderson amongst others, it is clear just how trusted a performer she is, with only the underdone Young Adult adaptation The Host a film that can truly be classed as a misstep. Not six months ago she was the stand out performer in Ryan Gosling’s interestingly flawed Lost River, staying just the right side of truly bizarre in a truly bizarre film. Brooklyn looks like an opportunity for her to really flex her emotional acting muscles and, while it is not a film that vastly appeals to me, her past track record makes it a film I am more eager to see than I normally would be. 2015 has genuinely been the year of Alicia Vikander, finally making good on the early promise shown with period dramas Anna Karenina and A Royal Affair, with a variety of roles, ranging from science fiction to fantasy, via period drama, crime thriller and big budget spy TV show revival in between, with more to come via a supporting role in the Bradley Cooper vehicle Burnt and a much tipped role in Tom Hooper’s The Danish Girl. What makes the work of this Swedish actress is that she has an unnaturally strong ear for accents, and provides flawless interpretations of whatever accent is necessary for the role. Early this year she knocked me out not with her much vaunted performance in Ex Machina (in which she is still very, very good indeed) but in the Vera Brittain biopic Testament Of Youth. It is the way she captures that British ‘Carry On’ mentality that inspired such awe in me whilst watching it, raising a somewhat leaden melodrama to brilliant heights. 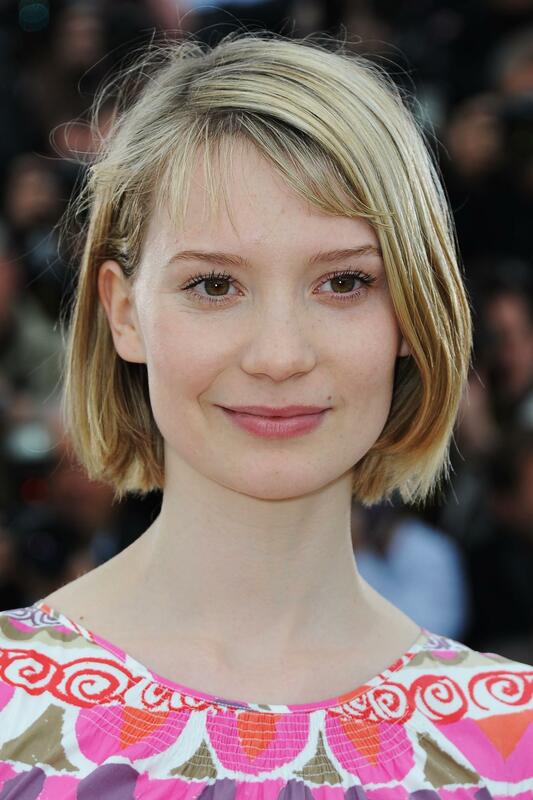 Mia Wasikowska is up there with Ben Mendelsohn as the greatest talent to have come out of Australia in recent years. Following an inauspicious start as the unknown thrust into Tim Burton’s underwhelming Alice In Wonderland (she will return to the sequel next year) yet since then she has steered clear from the bigger roles in favour of building a very firm base as an indie darling who can be depended on in whatever role she is cast. Much like Saoirse Ronan she is uncannily able to play the traditional period role, as she did in Jane Eyre and to a certain extent Stoker, whilst being able to do something much more subversive and off the wall, as she did in Only Lovers Left Alive. She does have an almost porcelain quality to her that makes her a perfect fit for gothic influenced pieces such as Stoker or the recently released Crimson Peak, indeed whilst watching Stoker her performance really reminded me of the younger days of her co-star Nicole Kidman. In spite of all this her finest performance for me to date has been the one role I have seen her in to play up to her Antipodean roots, as Robyn Davidson, the woman who trekked across the Outback accompanied only by a herd of camels. This was a film that demanded that hardest of endeavours for an actor, acting alone for the majority of the film, a challenge she raised herself to wonderfully. It is astonishing to think that Elizabeth Olsen only appeared on British cinema screens for the first time in 2012, and in the space of three short years has very effectively transitioned from being an indie darling to queen of the major blockbuster. With an expressive pair of eyes and almost limitless scope to display almost any emotional response the material demands, yet with a lightness of touch displayed from Liberal Arts that sets her as an actress of almost chameleon like ability. In the interests of fairness I must say that she is either not a particularly good judge of material or needs a new agent, given that despite very good performances in films such as Silent House, Kill Your Darlings or In Secret, the films were disappointments while even she could not eke anything decent from Spike Lee’s Oldboy remake. That said having aligned with Aaron Taylor-Johnson twice, as his wife in Godzilla and as his sister in Avengers: Age Of Ultron, she has acted him off the screen both times, and will be picking up her Marvel Scarlet Witch role in numerous forthcoming films, whilst I eagerly anticipate her turn as the wife of Hank Williams in the forthcoming I Saw The Light. Just about coming into his own, Tye Sheridan is one of the batch of very young actors (aged only 18 at the time of this article’s writing) beginning to make his mark on cinema. Of all the people on these two lists Sheridan is the one with the least exposure, having only had three films released in the UK so far (Scout’s Guide To The Zombie Apocalypse will make this four) but he has been consistently good. Even though I hated The Tree Of Life, and even though he was by no means the lead character in that film, he still stands out in a minor role. Aside from that he has played integral roles in both Mud, the Jeff Nichols coming of age drama alongside Matthew McConaughey and in David Gordon Green’s Joe, alongside a strangely subdued Nicolas Cage. There is a danger thus far in his career that Sheridan is coming to be typecast as the kid from the wrong side of the tracks, but as the new big screen iteration of Cyclops in X-Men: Apocalypse, I feel he is about to step up to the big leagues. 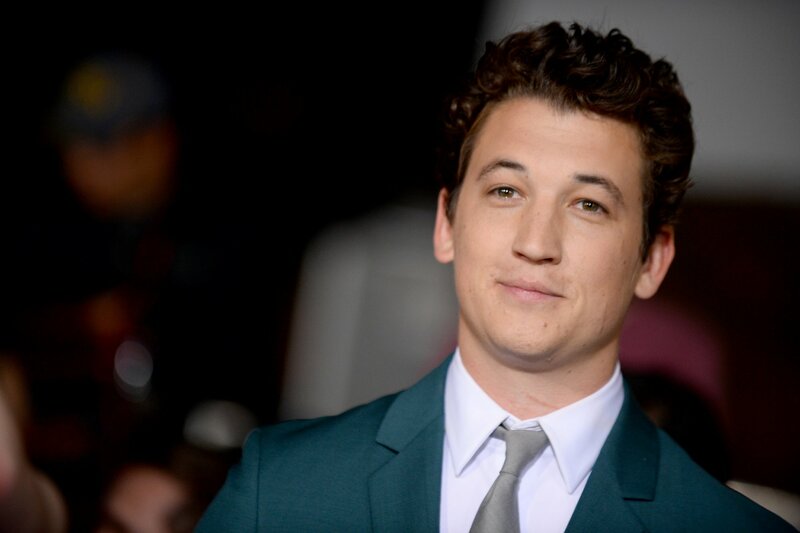 Miles Teller can make slime balls likeable, can do dramatic scenes in comedy and can make even the most serious scenes funny with a quip or a turn of phrase, he is truly one of the most versatile performers out there today. I must say that he really will have to do a lot to reclaim the ground he has so clearly lost by his appearance in the ill-fated Fantastic Four movie this summer, however the rest of his performances have been notable enough to signify this as a minor blip. Even in the comedic works he has been in such as 21 & Over and That Awkward Moment or his recurring role in the Divergent franchise he is often the stand out amongst ensemble roles. Thus far his career has been defined most strongly by his role in Whiplash, which unfortunately he was overshadowed by an admittedly very good J.K. Simmons, although to be fair his intensity more than matches Simmons’ specifically in that unbelievable final scene, but as well as this role his chemistry in the intense teen drama The Spectacular Now shows just how much he has to offer as an actor. Having missed out on the Spider-man role he had been much touted for throughout this summer I have come to the belief that this can only do Asa Butterfield’s career good. He strikes me as an actor who may not thrive too well in the big-budget arena but, like Mia Wasikowska can plough a very impressive furrow in smaller, indie projects. Of course many people will know Butterfield from his sensitive turn as the young camp intern in the Holocaust drama The Boy In The Striped Pyjamas, yet how many eighteen year olds can claim to have been the lead in a Martin Scorsese movie, and in my opinion is the best lead in a Martin Scorsese movie since Ray Liotta’s turn in Goodfellas way back in 1990. 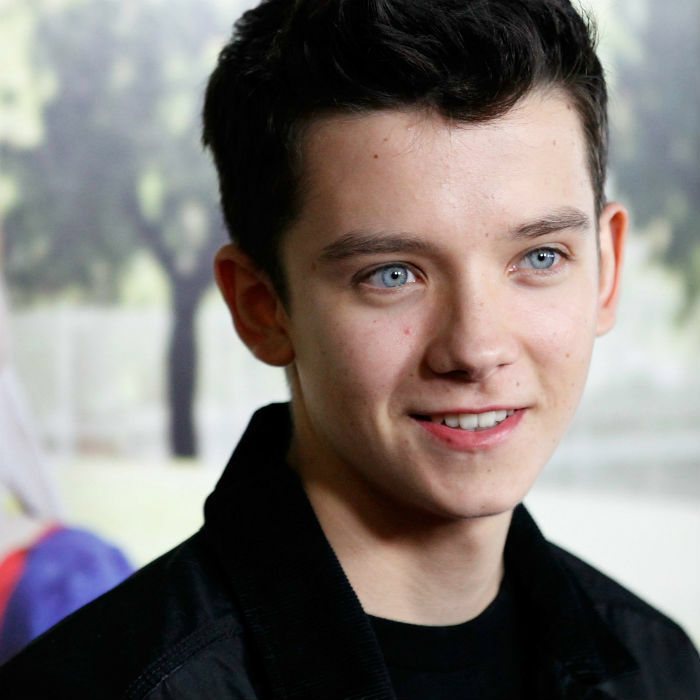 Since then his strangely enrapturing eyes have captivated me in such turns as Ender’s Game and X+Y, one of the few truly delightful British movies of the last few years, as the Asperger’s sufferer who captured the audience’s hearts. 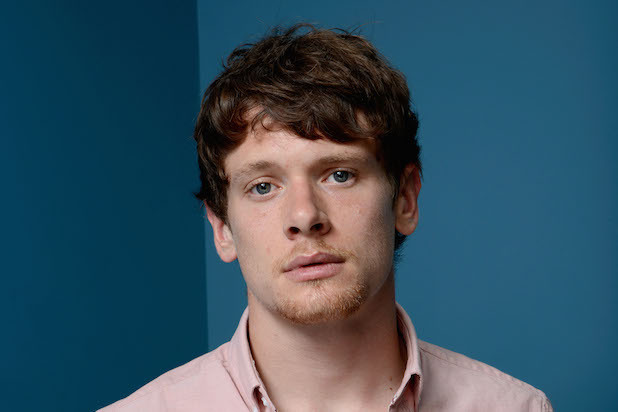 Kill Your Friends’ Nicholas Hoult may well be the poster boy for the Skins cast coming good in the world of movies, but for me Jack O’Connell is the real star to have emerged from that particular TV show. 2014 saw O’Connell star in three movies that all managed to convey the strange sense of brutality that O’Connell has managed to garner at such a young age. As the young offender transferred to senior prison, desensitised to the horrors the prison system exposed to him and not afraid to engage in violence, O’Connell somehow managed to put in a performance even scarier than co-star Ben Mendelsohn. Then in ’71 he was probably two thirds of the reason that this proved to be one of the tensest pieces of cinema of recent years. Even in Angelina Jolie’s overwrought Louis Zamperini biopic he came across as convincing even in the face of a less than convincing script. The one worry I have about O’Connell is that he has not really proven his range much yet, and so whether he can transfer his talents into lighter material is yet to be seen, but I look forward to seeing his career progress. 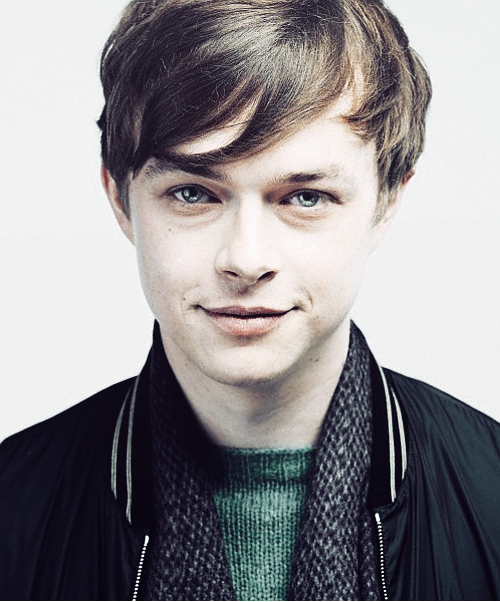 I may have once described him in a review as looking like Leonardo Di Caprio’s sickly younger brother but at the same time he has never really put in a bad performance, although that is not to say that he hasn’t appeared in bad movies. Films such as Life After Beth and The Amazing Spider-man 2 may not be great pieces of work by any stretch of the imagination but at the same time he always comes across as a committed, intense performer. Much like Elizabeth Olsen he even managed a brilliant performance in Kill Your Darlings, the extremely flawed film about the Beat generation, and in his breakthrough Chronicle gave quite possibly the best ever performance seen in a ‘found footage movie’. However when he is given good material to work with his intensity simply sizzles on the screen, be it as a note perfect James Dean in Anton Corbijn’s Life or as the protagonist of the final act of Derek Cianfrance’s wonderful The Place Beyond The Pines. I know that many are down on that aspect of the film but to me it, and his performance in particularly really ties the film together and perfectly completes the narrative, and as more take notice of him, he will be able to be the more prominent on screen presence he deserves to be.